Grafting and microbudding in citrus requires excellent quality root stock material. It has been shown that Jambhiri and Rangpur lime provide the quality root stock seedlings. However, Galgal is not advised for various reasons including its susceptibility to diseases. However, it becomes difficult to identify deliberate as well as inadvertant mixture of galgal plants in the nursery. This impediment may lead to great economic loss in the citrus orchards eventually. Commissionarate of Agriculture, Maharashtra State approached the Bureau to help develop a DNA based technology that is simple and can be used on a commercial scale to distinguish among the three common root stock plants viz. Jambhiri, Galgal and Rangpur lime. Thus, a technology package “Distinction among Citrus root stocks namely Galgal, Jambheri and Rangpur using DNA based markers” was developed. The technology was developed by using the reference material of Galgal, Jambhiri and Rangpur lime as supplied and authenticated by the Director of Horticulture, Commissionarate of Agriculture Maharashtra State, Pune. Galgal, Rangpur lime and Jambihri were fingerprinted at 25 STMS loci to develop technology for citrus root stock identification. The protocol was optimized for DNA isolated from leaf tissue and includes results based on PCR and electrophoresis. 2 . 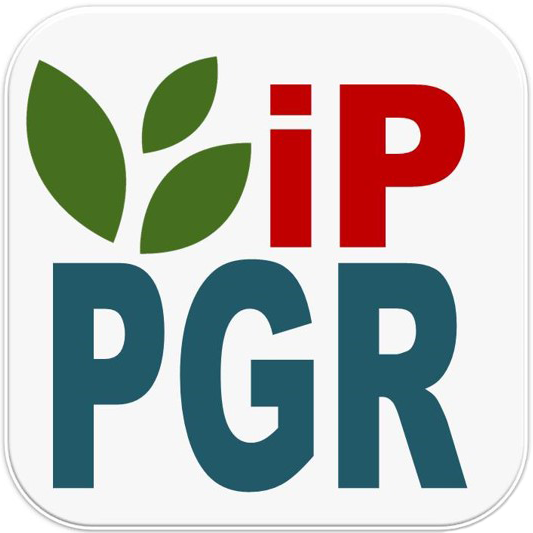 PCR based detection assays and protocols for ten Genetically Modified (GM) crops. The GM detection laboratory has developed technologies for screening and detection of GM crops for regulatory compliance, to address consumers’ concerns and to solve legal disputes, if arise. The developed PCR based diagnostic assays would benefit a broad range of stakeholders, including consumers, regulatory bodies and the agri-biotech industry as it would help to ensure public confidence in both the technology and the ability to regulate it effectively. PCR-based diagnostic kits developed are reliable, sensitive and efficient, as more than one target sequences can be detected in a single assay, the sensitivity of the kits is up to 0.1%. The technology for initial screening to check for GM status of testing material constitutes multiplex PCR assays for simultaneous amplification of commonly used marker genes; nptII, aadA, bar, pat, hpt and uidA,35S promoter and nos terminator. Multiplex assays has also been developed for detection of specifictrans genes/marker genes/promoter sequences/species specific genes in GM crops viz. brinjal, cauliflower, cotton,maize, mustard, okra, potato, rice, soybean and tomato. Bt cotton is the only commercialized crop in India that is planted on an area of 10.5 million hectares. MON531 and MON15985 are the two major events being widely cultivated. The market price of Bollgard II is comparatively higher as compared to Bollgard-I as Bollgard-II is a better resistance-management tool due to stacked genes. It is difficult to differentiate the seeds of two events, so there are chances of adulteration or mixing of the events by the traders to earn profits. Hence, distinguishing these two events of Bt cotton is very important so that the farmers may get the authentic seed. The decaplex PCR assay has been developed to differentiate these two major events of Bt cotton, i.e., MON531 and MON15985. The developed technology of hexaplex PCR targeting six marker genes facilitate testing the GM status of a sample irrespective of GM crop and trait. The technology involves use of multiplex PCR targeting six marker genes, which could be amplified in the template DNA by use of HotStart Taq DNA polymerase to minimize the chances of mispriming and primer-dimer formation. In multiplex PCR, specific amplicons, i.e., 82 bp for uidA, 177 bp for bar, 262 bp for pat, 406 bp for aadA, 508 bp for nptII and 839 bp for hpt would be detected in the respective positive samples. The developed technology of Duplex TaqMan® Real-time PCR targeting CaMV 35S promoter and nos terminator facilitate testing the GM status of a sample irrespective of GM crop and trait. The technology involves use of different fluorescent dyes in the probes of two targets, which could facilitate simultaneous detection of both the targets in a run. The limit of detection is upto 0.01%.